January 2016 ChriSOULa followed her soul calling to embrace video technology and started hosting Live Holistic Calls with the intention to complement her journey as the broadcaster of the weekly Health and Healing Show on RedShift Radio and in this way creating a platform to lift up Holistic Health and Wellbeing educators, authors, practitioners and heart-centred thought leaders. GoldenMuseTV Videos are recorded on Zoom Video Conferencing Platform and then uploaded on ChriSOULa’s YouTube Channel. They are either group calls with Panel of experts discussing one particular awareness topic or interviews 1-2-1 that some are included in ChriSOULa’s new book series The Book of Soulful Musings: Enlightening Insights, Tools and Guidance from LIFE Inspiring Conversations. 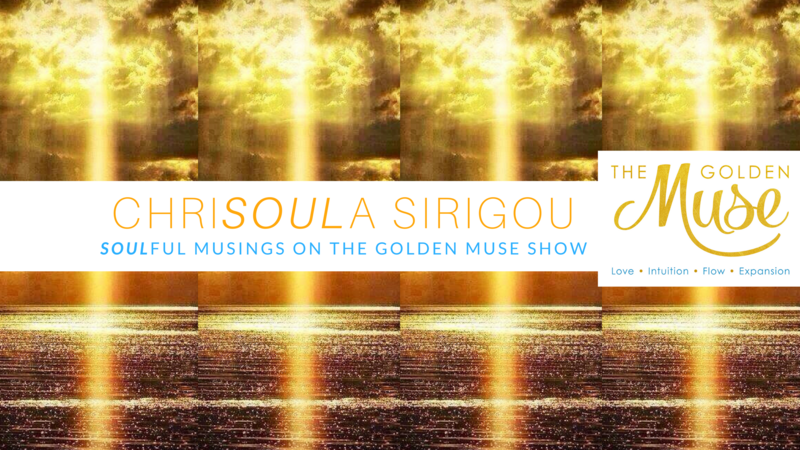 Subscribe on GoldenMuseTV and be inspired by Soulful Musings with ChriSOULa and her guests. Connect with her soulful community LIFE Inspiring Conversations on Facebook for free.